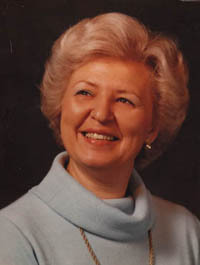 The Bernadette C. Fischer Scholarship Fund annually awards a $1,000 scholarship to one student that is enrolled at Saint Jane Frances de Chantal School and is a registered member of Saint Jane Frances de Chantal parish in Pasadena, Maryland, in honor of the Fund’s namesake, Bernadette C. (Desverreaux) Fischer, a teacher at Saint Jane Frances de Chantal School for over thirty one years. The Fund awards the scholarship based on the student’s academic achievement and excellence, commitment to community service, integrity, initiative and self-direction, Christian character, and financial need. For the school year 2018-2019, the Fund will only be accepting applications from students entering the 7th or 8th grades at Saint Jane Frances de Chantal. Applications are accepted between February 1st and April 15th and must be postmarked no later than April 15, to be eligible. Under no circumstances will applications be accepted after the April 15 deadline. Applications can be downloaded at the right or picked up at St. Jane Frances School or Church. They should be filled out, then mailed with supporting documentation to 1665 Dartmoor Drive, Huntingtown, MD 20639. Applicants will be notified of the results by May 15th. All questions must be answered, required information attached, and appropriate signatures completed before the application will be accepted. The Fund will not publish any information other than the applicant’s name, school and grade, unless required by law. Download this form to apply for the Bernadette C. Fischer Scholarship Fund.